First, I would like to say that when I look for recipes to cook, I get frustrated when I find one that needs overnight preparation! I fully agree and understand the need to marinate and letting flavors to soak in, but I would like a heads-up so I don’t settle too fast. So here is your warning! Any recipes from here on out that I post will have an “overnight” sub-category for your convenience. Now for the good part! Cucumber salad is a great to pack as a snack for lunch. It is so refreshing and perfect to wake you back up, easy to make and super delicious. There’s not much more to say than to try my recipe and enjoy! Step 1- peel the skin off of your cucumber and slice thinly (preferably with a mandolin) and place in a container with a lid. 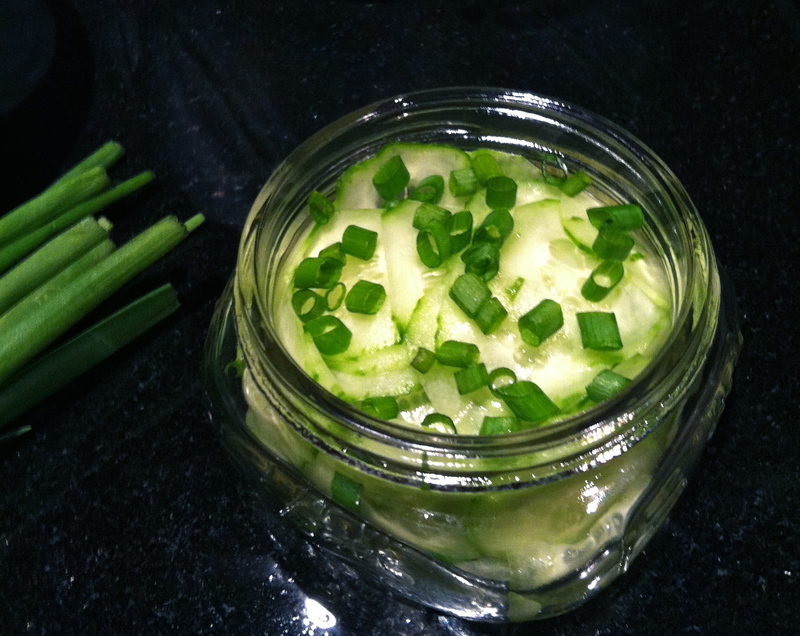 Step 2- cut up the green onion, add to the cucumbers. 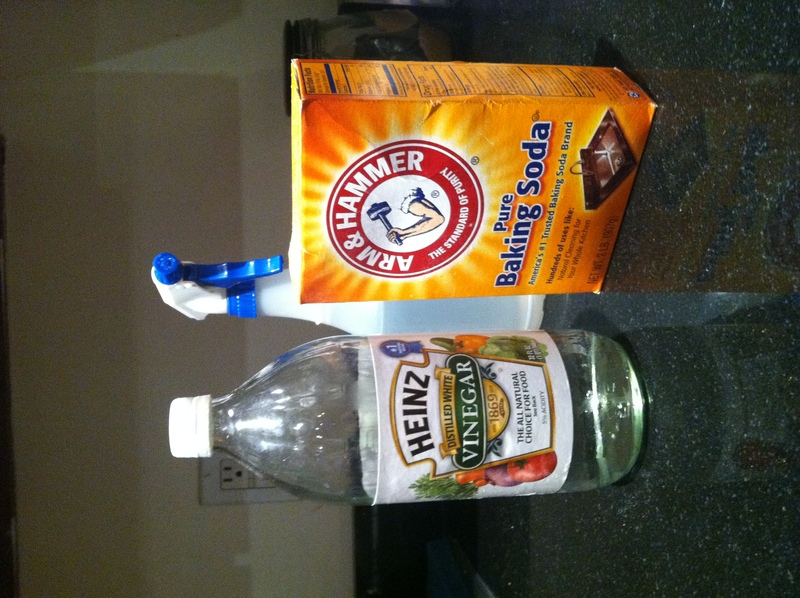 add the white vinegar, oil, salt and pepper and shake.